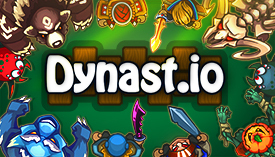 Dynast.io | Play Dynast.io free on iogames.space! From creators of GLOR.IO! Survival RPG game you've never seen before! Create farms and castles, fight the monsters, try to survive in a cold winter, ride motorcycle and shoot from crossbow, fight for the treasures and dominate the server! - Full-featured inventory system with storing items between sessions! - Craft and build things! - Personal and team transport! 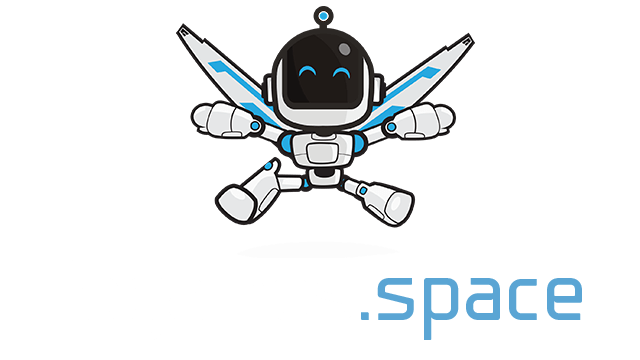 - Many hats and different weapons, from club to fireball cannon! - Hold shift while building to build in a row! - Hold shift while managing your inventory to split stacks! Use Axe for gathering wood and Pick Axe for gathering Stone/Gold/Diamonds. Golden version of this tools have more durability and gather much more resources per hit! You can get food from creatures, like pigs/bears/penguins and others. But the best way - build a farm. Piggies growing up with a time and can give you more meat, so don't collect it from begin! How to equip Shield or Hat? Just open the inventory and drag a necessary item to shield/hat-slot. How to survive in winter? Try to avoid white bears, because of they very powerful! Prepare some dust and many logs and rocks before going to winter! Check your temperature bar, if you getting cold, you're dead, so create bonfires to warming up. Get fur from rabbits to make a fur hat, it allows you to keep heat longer. Where I can find diamonds? You can find diamonds in the winter. During the night you can see them on the map as pink quads. But be careful! During the night you lose heat faster! Where I can find hats? Sometimes treasures spawned in the dynast.io world. You'll see notify message about it. Try to get the treasure first, because they contain many unique items and hats. Simple hats you can craft in your inventory. Almost all hats have some effects and improve you. How to store my items to use it in future? Just build a private chest! But you need to be authorized using facebook/google/discord. Why my axe is broken and disappear? Almost all weapons and tools in the game have durability. You can see it on the item icon in your inventory/equipment panel. Also, you can create repair box to repair items. - Axe, Pick Axe and Club - is your best friends on start, build it immediately. - You can build bush hat and stay hidden on the minimap from other players! - Don't forget about shields! It dramatically increases your chance to survive! - Build traps, to stop animals and other players! - Start building your base and build archer towers, it can defend you from monsters! - Don't go for treasures if you haven't hearstone! There are monsters and other players who wanna get it! - When you build your hearstone, a nightmare can come to you, so be careful at night! - Don't go in winter if you don't ready for it. Really, it's very dangerous. - You can get some diamonds by killing werewolves during the night, try to build a motorcycle, it allows you to move faster! - Try to find a team, or create a new one, because together you have more chances to survive! - Diamond shield and golden hammer - great things to attack other bases! - Thief hat can make you invisible during the night if you don't move. Use it to hide from accidentally enemy groups.